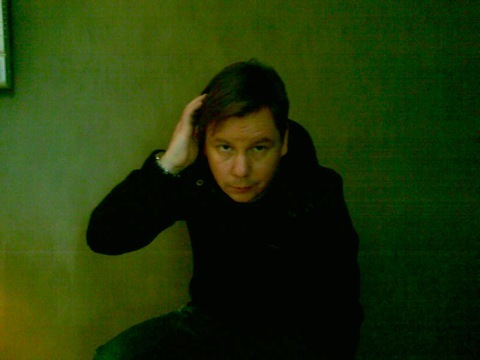 Germany - Black Alley is the latest moniker for Berlin based music lover, record collector, and producer Thomas Pudell. Thomas has been a deejay for more than 30 years and a music lover for his whole life. He started listening to the record collection of his father when he was 3 years old. Classical Jazz, and Motown records laid the foundation for the deep love for quality dance music where today corners the extensive vinyl collection of more than 30k pieces covering the walls of his home. As a teenager, he started doing his first deejaying gigs at school parties. Soon after Thomas landed a residence at local clubs in his hometown, playing a healthy mixture of soulful disco, funk, r&b and also danceable jazz tunes. 1991 was a turning point in his life. Attending the legendary Weekender in Southport, England gave him the experience to discover house legends like Tony Humphries, Little Louie Vega, Hippie Torales or Phil Asher, among many others. Hearing the wide range of house music - from soul, jazzy, and tribal influences - made Thomas' love for dance music even stronger and so his style evolved from a more freestyle and jazzy one to the housier side of things. Influenced by the sounds of his rich musical background and the freshest house grooves, Thomas is known to express himself behind the decks and in his productions in style. As a DJ he had residencies - and travelled - all over Europe. He shared the booth with international Names like Ian Pooley, Boris Dlugosch, Dimitri from Paris, Roger Sanchez, Erik Rug,Digitalism, Bob Sinclar, etc,… to name a few! Coming from pirate radio in the 80/90’s and being involved in shows on KissFM Berlin and PushFM London he is now hosting - for nearly - eight years the ’In Control Session' on Deepvibes.co.uk (every first Friday/Month). Nowadays he runs his own Music Studio a bit outside of Berlin where he mixes/produces with/for other artists, when not working on own productions. Remix credits include Club Squisito " I'm flying", Overdub "Once upon a time",Jimmi Hendriks "Back in the days", Lcaise "Cloudy Beach", Mary J. Blige "Dance With Me", Alexi Delano & Vincenzos "Against The Wall" , Gadjo "So Many Times", Raul Paz "La Mulata“, Sean Smith " Pimpin 101", and many others. Own tracks and collaborations can be found on Traveller Records, Sub_Urban, SA Trincha, Vision Collective Recordings, Oh So Coy, Pool Position, Souldeep Inc, Soul Shift Music,Deep Nota Records, Deurun, Soulplate Records, Brown Skin Music, Brickhouse, Mindbase Recordings, Freeport, Hott, Edel, UCA, and quite a few white labels….